The Bronze Desk XIII top is fully covered in dark grey parchment and the legs are crafted in figured sycamore, stained dark grey with a high gloss finish. The design features two drawers fitted with key locks and bronze inlay all around each one. The desk has fine bronze trimming under the top, a bronze diamond shape on each leg and bronze caps. 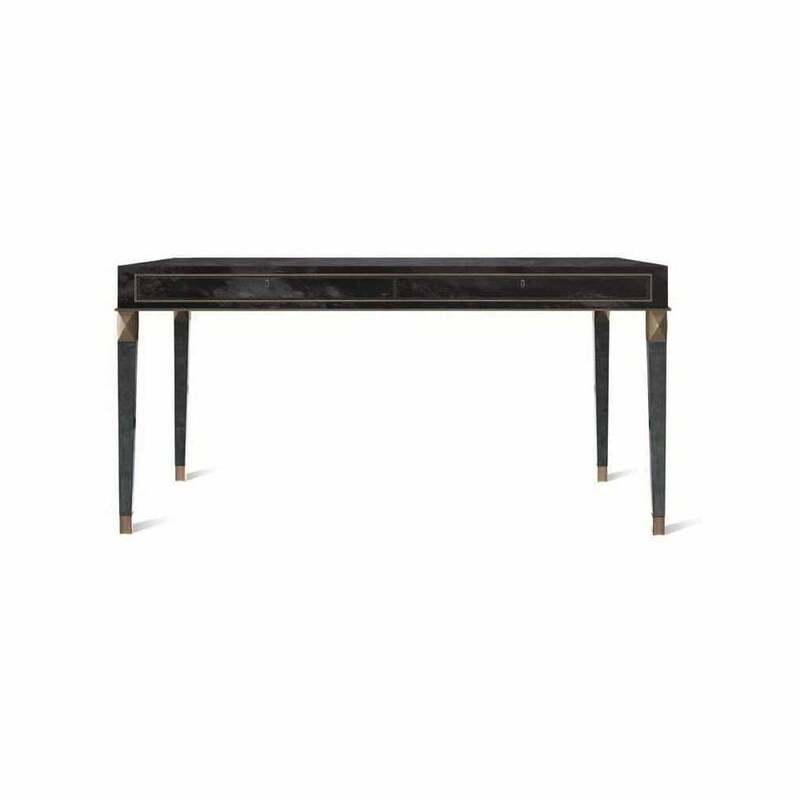 This Art Deco inspired desk would make a luxurious addition to a study paired with geometric wallpaper, a sumptuous desk chair and a soft, textured rug. See Eichholtz range of chairs for sleek designs and ultimate comfort. Available in a range of finishes including natural black American walnut, oak and figured sycamore.